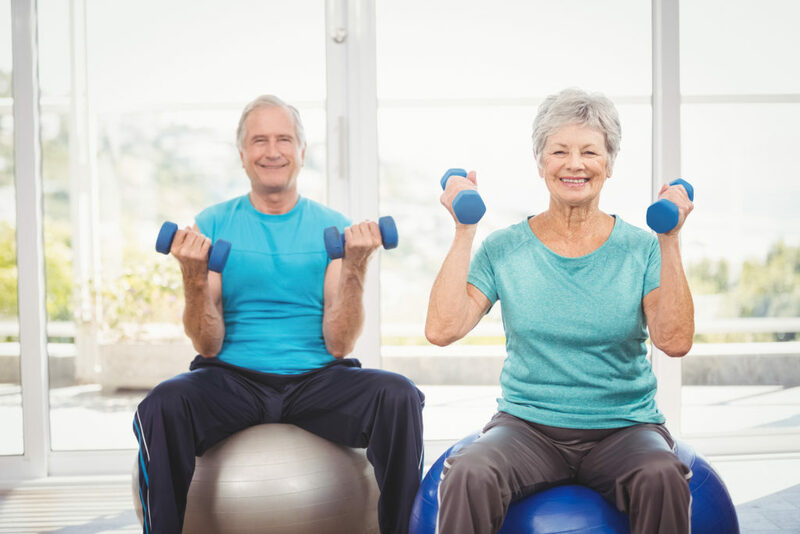 Staying physically active into your later years offers a variety of benefits to seniors, from keeping your heart healthy and your bones strong to improving your balance and strengthening your immune system. Exercise is also a known mood-booster, perfect for letting off some steam and reducing your stress levels. It can even help you get a better night’s sleep. However, did you know that experts agree there’s also a correlation between physical activity and better brain health? Recent research reveals that exercise may be one of the most cost-effective means of improving your brain function and memory, and possibly, preventing the onset of Alzheimer’s disease and other forms of dementia. According to the Alzheimer’s Research and Prevention Foundation, regular exercise can reduce your risk for Alzheimer’s disease by a remarkable 50 percent. When you exercise, your heart rate rises and keeps your blood flowing, pumping more oxygen into the brain. This not only helps your brain stay healthy by increasing the chemicals and hormones that protect it, but it also counters some of the natural reductions in brain connections that are part of the natural aging process. It also provides a nourishing environment for new cell growth. A recent study published in the Journal of Alzheimer’s Disease revealed that people who did moderate intensity workouts on a regular basis were more likely to have healthy patterns of glucose metabolism in their brains, a key indicator of brain activity, compared to those who lived a sedentary lifestyle. Other studies also show that people who are physically active are less likely to experience a decline in their mental function, which in turn leads to a lower risk for Alzheimer’s disease. Not only could exercise be key in preventing the onset of Alzheimer’s disease, but it could also help manage the symptoms and improve quality of life in those already living with the condition. Because exercise produces those “feel-good” hormones in the brain like endorphins and serotonin, individuals with Alzheimer’s disease who are physically active often experience less irritability, anxiety and depression, three common Alzheimer’s symptoms. Furthermore, regular exercise for individuals living with Alzheimer’s and other forms of dementia may improve other symptoms as well. For instance, exercise can decrease the levels of tau, the protein associated with Alzheimer’s disease, in the brain. It also increases blood flow in the memory and processing centers in the brains of those living with Alzheimer’s. This can improve attention span, the ability to plan and organize, and establish a routine to regulate sleep patterns in those with sundowner’s syndrome. The bottom line? What benefits the body also benefits the brain. Find an activity you enjoy, whether that’s walking, biking, yoga or swimming and get active. If you’re just beginning a fitness program, take it slow and build up your strength and endurance. Then, start reaping the benefits of an active lifestyle. At Immanuel Lutheran Communities, we focus on all six dimensions of wellness through a variety of healthy activities for residents. Our activities calendar is full of a variety of fitness classes designed with your unique needs in mind to help make physical activity a welcome part of your daily routine. Contact us to learn more about our Kalispell retirement community located in the beautiful Flathead Valley, or view our floor plans to start planning for your future today.